Tonight’s mosaic is a study for a larger piece that I’m planning. 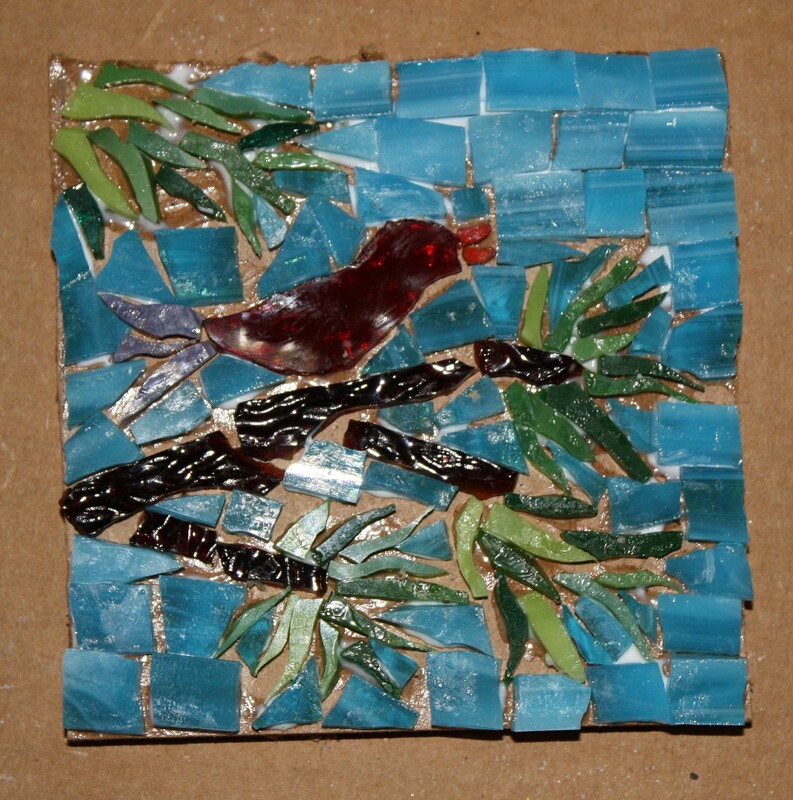 The big mosaic is going to have a tree filled with all different kinds of birds. I’ve had fun this week creating a variety of trees and leaves. I’m learning how to create leaves in different ways. I also liked having a theme. It helped me to focus each day. So glad you like it. I do too!